This is a round Sunset Gasoline porcelain sign. This particular Sunset Gasoline sign is predominantly light blue and yellow. 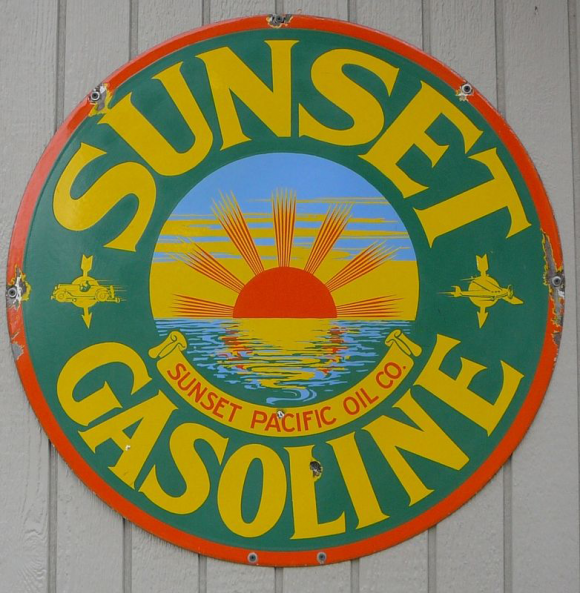 It reads, “Sunset Gasoline, Sunset Pacific Oil Co.” and features an orange setting sun over an ocean in the center of the sign.